Cocaine Relapse: How Can You Get Over Relapse? Cocaine Relapse is also known as Crack Relapse. It is a very common occurrence among addicts. This is considering the serious dependence it causes. When they reduce the dose or give it up completely, it’s almost sure that they will have a Cocaine crash. That is following a heavy use. To overcome the unpleasant experiences during a crash, they start taking it again. They call this Cocaine Relapse. Indeed, the rates are very high in the first month after discontinuing it. In other cases, this may extend up to three months. Needless to say, your health is at stake every time you do it again. It negatively impacts the rehabilitation process. Moreover, they may also feel very low for being unable to give up their addiction. You should understand that relapse is common in the rehabilitation process, especially when there is still some cocaine in system. A serious addiction is not something you can beat at the first attempt. More than just a “bad” habit, it affects the functions and structure of the brain. For this reason, they call it a brain disease. Similar to any other disease, addiction also requires targeted treatments to clear it. In essence, with a right treatment, you can expect a full recovery. What Are The Hallmarks Of Cocaine Relapse? 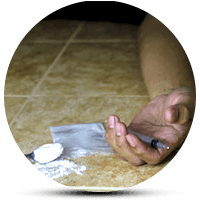 Drug-seeking behavior is one of typical cocaine addiction symptoms they experience during the relapse period. They may try to gain access to the drug by whichever means they find right at the moment. It can be anything from contacting a drug dealer to calling other addicts. Strong cravings: In fact, the need to take cocaine arises as the brain is deprived of the doses for a long time. In case they do not get it, they may indulge in other activities compulsively. Most commonly, these include gambling, overworking or overeating. The trouble with daily activities: Essentially, relapse makes them overstressed and less likely to complete their daily activities. Such effects might be visibly clear from their appearance. Like, poor hygiene, and inability to meet daily demands, etc. Other signs of Cocaine Relapse may include isolation, reduced communication, visualizations of drug abuse, and poor self-control. The length of cocaine abuse is by far the most influential factor in determining if they will have a relapse. Simply, longer the abuse, higher the chances of a relapse. Environmental influence is another contributory factor. If they stay in regular touch with other addicts, they are more likely to get back to the addiction. Moreover, being under constant personal or financial stress may also provoke them. The unique genetic build up is what makes every addiction different from others. In fact, scientists believe each person has a unique gene which they call “addiction gene.” Due to this, your tendency to relapse may be entirely from that of your friend. Rarely, an ineffective treatment plan may also be the underlying culprit. Therefore, you should make enough background study before enrolling in a rehabilitation program. Can You Prevent Cocaine Relapse? No strategy can guarantee a full-proof protection from Cocaine Relapse. Nevertheless, a few measures may help to reduce the risk. Be strong and positive: Remember that self-control is stronger than your cravings. This may not always be relevant considering the brain changes. Talk to the experts to learn about the coping skills. Cocaine Relapse is not your mistake. Rather take it as a learning experience. Do let yourself down: Cocaine Relapse severely dents your self-confidence. In fact, you may feel as if escape is impossible. Stay motivated till you attain a complete recovery. They may recommend you to take special classes of behavioral therapies. Educate yourself: Many studies suggest education and counseling are keys to preventing a relapse from cocaine addiction. Consider joining a counseling class that best meets your individual needs. Are There Alternative Treatments For Cocaine Relapse? There is no compelling evidence that any of alternative treatments is useful in curbing the rates of cocaine Relapse. However, they may help you cope with some of the cocaine withdrawal symptoms. Recently, they have found acupuncture could reduce Cocaine-seeking Behavior in the addicts. In a nutshell, you may consider using an alternative treatment. Nevertheless, you should consult the doctor in advance. Getting back to addiction treatment after a relapse is very important. It determines the long-term outcome. Here are some tips to consider. Talk to an addiction counselor. A close and clear conversation with them forms the foundation of a successful treatment plan. Stay away from relapse triggers. Take charge of your thoughts. Do not let them wander unnecessarily. Get help from a close friend or family member: Find one and open up. Talk to them about your current situation, fears, cravings, and how you picture your future. Remember a strong and continuous emotional support goes a long way. It is key to keeping you away from addiction. Talk to the experts to find out more about Cocaine Relapse. If you or anyone you love has an addiction, you should talk to an addiction counselor. They can teach ways to deal with the cravings, prevent relapses. Finally, the addict will be on their way to a full recovery. Addiction Resource » Addictive Substances: The Anatomy of Drug Addiction » Cocaine and Crack Addiction and Treatment » Cocaine Relapse: How Can You Get Over Relapse?